Our old sweaters can get worn out, stretched out and sometimes just simply go out of style. If you find that an old sweater of yours is too worn out to donate, you could upcycle it into some really cute sweater pillows. That tacky sweater that you could no longer bear to wear could become your new favorite pillow to relax with. 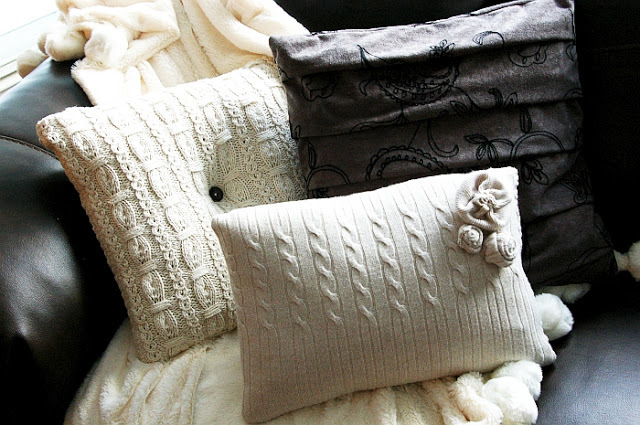 Click here to visit Brassy Apple to find out how to create your own cozy sweater pillows.